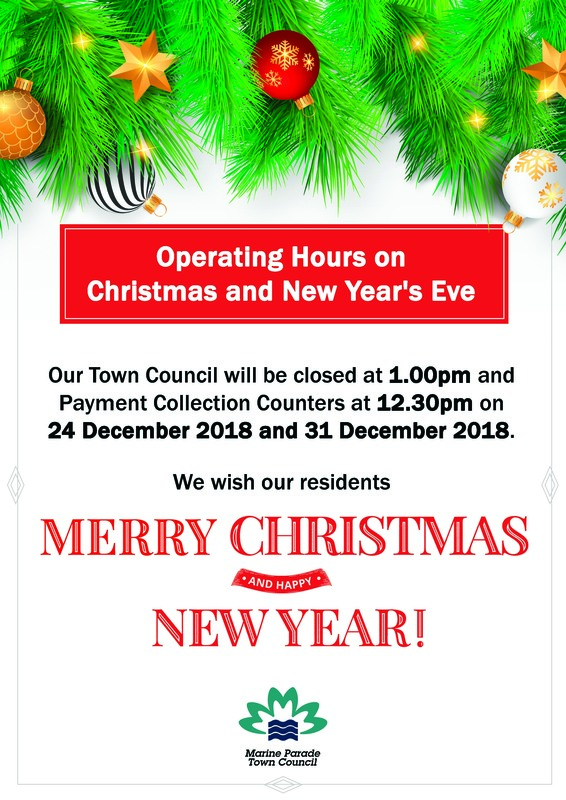 Season's Greetings to all our residents! Please take note of our operating hours this festive season. Thank you!